"A cynical, mercenary, demagogic press will in time produce a people as base as itself." - Joseph Pulitzer, 1847 - 1911. Arriving at the High Court, seven months after the first day of witnesses. It began with Bob and Sally Dowler; it ends with David Cameron. Cameron answering questions from Mr Jay on whether, as an adviser, he would ever speak personally. Jay asks him about his career as a Spad. Did he ever express opinion that was not opinion of your minister.‪#Cameron‬ can't recall[!] clearly. Often a mouthpiece, sometimes a sponge.Wd've had my own opinions, but can't remember specific instances. "would hope" he made it clear if so. I've never worked in a newsroom.I have some knowledge of it, but not as much as someone who has worked there.Learned about TV at Carlton. Cameron twice says relationships with media figures are important. The media is a "very big part of the way we communicate & the relationships are important".Jay asks how easy it is for him to befriend hacks. Cameron: asking politicians whether they’re happy w/ news reported is like asking farmers about weather: always going to complain. Newspapers have moved towards trying to find an angle, make more impact as 24-hour news cycle took hold.A change for the worse sometimes. #Cameron says it's hard to explain difficult decisions when papers analysing every moves.Politicians will always complain about that though. At Carlton, I learned TV is incredibly important to get through to people.Power of big news progs on TV has grown tho audience smaller. #Cameron praises Lawrence investigation by Mail.Pols have to judge if papers' campaigns are real or sthg they can't agree with. Says Telegraph's Hands off our Land campaign is one he cdnt agree with.Sarah's Law[Rebekah Brooks] was controversial.We need the debate. Cameron: campaigns newspapers run some of them are extraordinarily important and powerful. Cameron: A number of your witnesses have mentioned the MacPherson work by the Daily Mail. That was extremely important. Cameron: relationship between press and politicians not a particularly trusting one at the moment. Newspaper coverage can seem like being shouted at rather than spoken to.Campaigns can be good if they tap into vein of real public concern. [ #Cameron has declined the opportunity to trash Rebekah's Sarah's Law campaign]. Relations between press and politicians currently bad. Cameron: press has taken a tremendous knock , rightly, from some of the appalling things we've found out through this inquiry. The 24-hr news cycle is bad for govt because you can't spend all your time fighting permanent battles. Must focus on long-term issues. "In last 20 years the relationship has not been right. It has been too close and we need to get it on a proper footing." Transparency reduces risks of media owners or editors wielding too much power.But it is not enough.Others risks need effective regulation. Leveson says he struggles to see how regulation will cleanse the relationship between some politicians and the press. "It's a culture thing, it seems to me," the judge adds. Cameron counters that the culture has led to an impasse where regulation is glossed over. Cameron: Politicians and the press haven’t spent enough time discussing and sorting out the regulatory system under which the press exist. Cameron: Ed Miliband was right in identifying that politicians can sort this out alone because we're an interested party. Cameron on Operation Motorman: was aware of issues but frankly gvt and opposition didn't give enough attention, it's a matter for regret. Govt didnt give enough attention to press wrongdoing in 2003-06[Motorman] and nor did we the opposition. #Cameron statement says "an overly close relationship permitted regulation issues to be put on the back-burner" Happening for some time. #Cameron has read Blair's "feral beast" speech and says it has good content, but no solution.Can't remember what he said about it at time. ...but he has a "horrible feeling" that he and other politicians did not give Blair enough support at the time. #Cameron says there is a perception media owners can have too loud a voice in the country. Jay says more than a perception, surely? #Cameron rejects idea that pols are guilty of appeasement of the press.More a question of not focusing on regulatory issues when needed. Cameron: Of course we spend a lot of time interacting with newspapers and trying to get our point across . Cameron: we can write all the rules we like and have training, for journalists' or ministers' behaviour, but culture is massively important. Cameron: the John Major government, when I was special adviser, did have a wretched press and had a terrible time. Cameron: I'm not trying to blame the whole thing on New Labour, but I think it's been a developing story. Cameron: failed Calcutt review, combination of New Labour arrival and 24h news agenda what lies behind the problem. Cameron: idea Cons & News Int got together and said you give us support and we'll wave through deal we didn't know about is nonsense. Cameron: cathartic moment for press, politicians and police, opportunity to reset this relationship that went wrong. Q Have you seen vices of anon briefings manipulation of media by pols in your party? Yes, is v regrettable, deeply destructive. Cameron: there has been a problem in terms of some individuals and some special advisers and now we have a better special advisers’ code. Cameron: Special advisers now work for the whole government not just individual ministers. Cameron: sometimes frustrating when you feel motives constantly being questioned [by press], but bound to be some of that. 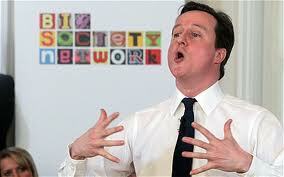 Cameron: volume knob sometimes turned too high, not sure that does anyone any favours. Cameron: can't promise media meetings diary is 100pc accurate but is a pretty big list. #Cameron says he won't get the impact from meeting the Mirror as he wd from mtg supportive/potentially supportive papers. Cameron suggests if commercial interests come up in media meetings Minister should tell private secretary. Cameron lists small number of journos who are close friends in statement. #Cameron says he has not had Major-style conversation with Rupert about support-for-action eg bashing the BBC. Cameron: I felt in talking to lot of Sun journalists that lot of them were very keen for their newspaper to change their stance (Lab to Con). Cameron is asked about the evidence from John Major about his meeting with Rupert Murdoch in February 1997. Major told the inquiry that Murdoch said his newspapers would not support the Tory government if it did not change its policy on Europe. Cameron he has not had a conversation "of that nature" but media executives will make their feelings known. "You have very robust debates about policy areas where you don't agree," he adds. Sun journalists were keen for the paper to change its stance because they felt the title was out of tune with its readers, Cameron tells the inquiry. #Cameron says he flew to meet Barclay Bros.Was trying to win support, but not at any cost. #leveson Jay says did you change tack in 07? #Cameron says in 07 he wanted to win over Rupert because NI papers were supporting Labour and he wanted to point out its faults. In opposition, he had 1,404 meetings with "media figures" or 26 mtgs or interviews a month. In govt, 13 a month. Jay asks whether Cameron changed his approach to the media in 2007. Cameron says he did "progressively realise, over 2006 and 2007, that it's very difficult if you don't have what I would call the different bits of the Conservative family behind you … you also need those bits of the Conservative press that should be behind you". He concedes that he was "struggling a bit" to get his message across to the Tory press in 2006 and 2007, so redoubled his efforts to win their backing. Cameron now talking about the Santorini visit with Brooks, Elisabeth Murdoch and Matthew Freud. At the time I became leader of the Conservative party I did not have widespread support in the media. I wanted to meet media figures (not just Rupert Murdoch) to make sure the Conservative party got a fairhearing in the press. I also considered it was important to have good relations with Rupert Murdoch becuase at this time his newspapers were supporting the Labour government and I wanted to raise awareness of what I perceived to be the faults in that administration and in their policies. One way of doing this was via the media. I did hope that in time we would have the support of News International's papers, after all these newspapers fundamentally shared the same views on society and the free market as the Conservative party. • Cameron denied any "overt or covert" deals for the support of a newspaper. • Cameron met Rebekah Brooks 19 times, James Murdoch 15 times and Rupert Murdoch 10 times while in opposition, the inquiry heard. • Cameron listed journalists who were close friends, including the Times's Daniel Finkelstein and Sarah Vine, the wife of education secretary Michael Gove. • ASun journalist and a prison officer are among three people arrested by Scotland Yard in investigation into payments to police and public officials. • The CPS has said it would not be in the public interest to prosecute Guardian journalist David Leigh over comments made about phone hacking. #Cameron now on to Santorini visit.It was Freud's idea.Purpose was opportunity to get to know RM better.Trying to win over papers. Jay asks about drinks with Paul Dacre, editor-in-chief of the Daily Mail, in 2006. He says this may have been a one-on-one meeting. Cameron says he cannot recall whether Dacre raised the information commissioner's What Price Privacy Now? report into the unlawful trading of confidential information in a meeting in December 2006. #Cameron says Santorini came together quickly.Was about to visit Georgia.Opportunity to link up.Lunch with J Murdoch in May 09.Doesnt recall. Q did you discuss MacTaggart lecture with James Murdoch before or after? Cameron: Not to my memory. Cameron: Q was support of Sun discussed at lunch? A: I don't remember specifics of conversation. Cameron: I keep in contact with Nick Robinson -- lots of references to Robinson in statement. Jay: Lot of reference to Nick Robinson on this page and elsewhere. He's someone you keep in contact with for obvious reasons. Cameron: Yes. JM has particularly strong views on defence, #Cameron says.Jokes JM wants "6 aircraft carriers, not 2". Repeats he gave hint on timing. Cameron: some of James Murdoch views I didn't agree with; I had clear position BBC is cornerstone of UK broadcasting, need licence fee. #Cameron didnt know of JM's Mactaggart lecture[v anti-BBC/anti-Ofcom] V strong views.Diff to mine.BBC is cornerstone.Ofcom has a role. Jay lists Cameron News Int meetings after Sun backed Cons, Cameron points out he met lots of other news orgs at time. Cameron met Fred Michel Jan 2010 in Davos, Will Lewis & Robert PEston there. Now onto Aidan Barclay's text message exchanges with Cameron . Cameron clarifies, suggested daily call during elex campaign was between Cons party & Telegraph editor not DC personally. Cameron: I've moved away from email, do my official papers formally, do get texts from biz contacts & friends. Support of Sun doesn't mean you are going to win the election, but it was part of building momentum.Didn't have strategy to win it, as such. Cameron is asked about evidence from Aidan Barclay, the Telegraph chairman, who said he texted the prime minister. Barclay told the inquiry he wanted to set up a daily phone call between Cameron and the Telegraph editor Tony Gallagher during the 2010 election campaign. Jay asks if Cameron accorded any weight to Barclay's view on the economy. "I get a lot of exposure to businesses' views on these points, some by texts, many more by meetings," Cameron says. Cameron does not say he was "bombarded" by text messages. He says he has "moved away from email" because that is more formal, adding: "But I do get texts from business people, friends". Onto Rebekah Brooks , Cameron says they developed a friendship. Cameron: of course Coulson gave advice on how best to proceed with Sun. Cameron: Think Rebekah Brooks was pretty friendly with all of them (Blair, Brown). Remember her standing up vigorously for Gordon Brown. Cameron: Trevor Kavanagh on Sun was s/one who thought Lab govt was getting it wrong & Cons getting act together. 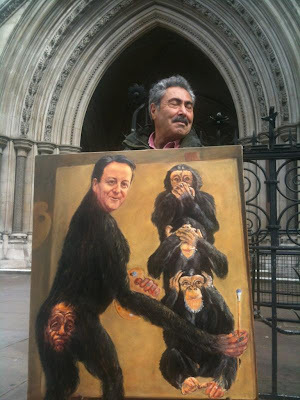 Cameron: Matthew (Freud's) politics I'm not quite sure about. Cameron: Yes Brooks was good friend by 2008. Cameron: relationship with Brooks got stronger when she married Charlie Brooks, old friend & neighbour. I'm not quite sure about Matthew [Freud]'s politics.Helpful in trying to facilitate meeting, but he supports different sides at diff times. [On Rebekah: "We struck up a friendship." Became more friendly after she married Charlie Brooks. Sometimes we would have beenn talking to each other quite a bit...around time of wedding...when both in Oxon..."not every weekend..." "Most weekends?" "I would have to go back and check...not every weekend.It wd depend.Tennis with Charlie..."
Jay says NI have recently released more Rebekah/Cameron texts, but only one is relevant to the inquiry.There are others, but "unavailable"
Text message from Brooks to Cam before party conference in 2009 on screen. Finishes "Speech of your life? Yes he Cam!" Text also reads she'll be there supporting him not just as a "proud friend", but "professionally we're in this together"
She says she wanted him to do well in speech not just personally but because "professionally we are definitely all in this together". But seriously I do understand the issue with the Times. Let's discuss over country supper soon. On the party it was because I had asked a number of NI people to Manchester post-endorsement and they were disappointed not to see you. But as always Sam was wonderful – (and I thought it was OE's that were charm personified!). I am so rooting for you tomorrow not just as a proud friend but because professionally we're definitely in this together! Speech of your life! Yes he Cam! Cameron says that was about the Sun supporting the Tories "so the Sun wanted to make sure it could help the Tories put its best foot forward". Cameron now onto being asked by Brooks to support review of the Maddie McCann case within Met Police. Cameron: Brown allegation of deal nonsense from start to finish, specious & unjustified conspiracy theory. Cameron saying details of Brown allegation (That Cons have JM everything he wanted) also wrong. Cam: had consistent, long term argument, flowed from my views formed at Carlton, BBC needed to be strong, needed backing of the licence fee. Cameron is asked about the appointment of Andy Coulson. The prime minister says he was looking for a "big hitter" and tabloid editors "bring something that others wouldn't". "There wasn't a particular wish list but it was about trying to get the right person with the right skills." He wanted someone to "materially alter and improve" how the party did things, and be able to cope with huge political pressure. Jay asks if Cameron was modelling the role on Alastair Campbell. Cameron says Campbell was more political than Coulson and there was occasions "where he overstepped what he should have been doing," he adds. Cameron confirms that other condidates for the job were from broadsheets, but Coulson was not the only candidate from News International. He says Coulson was the only tabloid editor available when he made the appointment. Cameron says he drew up a shortlist including Coulson, Guto Harri, someone senior from a broadsheet, someone senior from the BBC and a political journalist on a tabloid newspaper. Cameron says Francis Maude and Ed Llewellyn asked and obtained assurances from Coulson over phone hacking in 2007. Osborne thought this was a good idea "but I take full responsibility for it," he says. Cameron discussed Coulson's appointemnt with Rebekah Brooks. "I'm sure I would have asked how effective he would be," he says. "In the end it was my decision." He adds: "The most important thing I would have wanted to know is would he be good at the job." Jay suggests character and integrity are also important. "Of course... you have to be working with them," replies Cameron. He does not recall discussing Coulson's integrity with Brooks. What I assessed was that this was clearly a controversial appointment, and controversial for two reasons. One was that bad things happened at the NoW while he was editor and he resigned … the second reason there was controversy is that this was a tabloid editor. There are some people who would say don't have a tabloid editor. #Cameron admits there was controversy because Coulson was a tabloid editor, but wd answer you need someone tough with skills/knowledge. #Cameron makes point that Coulson came up with "Hug a Hoodie" headline...most destructive ever...three words I never uttered. Cameron raises fact that Coulson also told Commons committee, police, a criminal court in Glasgow same assurance. "If Ive been lied to.."
Coulson "had done the honourable thing by resigning so I thought he deserved a second chance." Says it wasn't done to win over NI. Jay:was yr judgment clouded by fact that Coulson was close to NI? [refers to sthg he sd in Commons]C:You don't make decisions with hindsight. #leveson echoes [my] point about headline writing. Was it concern that he cd misrepresent a policy like that? #Cameron it goes back to separating fact from comment, but not completely unfair. It's what newspapers do. Asked about July 09 Gdn article on hacking.It didn't contradict assurances Coulson gave.He told CMS cttee assurances as well then. Cameron animatedly explains why he decided to employ Andy Coulson despite warnings from colleagues and later the Guardian article..
• Rebekah Brooks texted Cameron on eve of his conference speech to say: "professionally we're definitely in this together" and "Yes we Cam!" 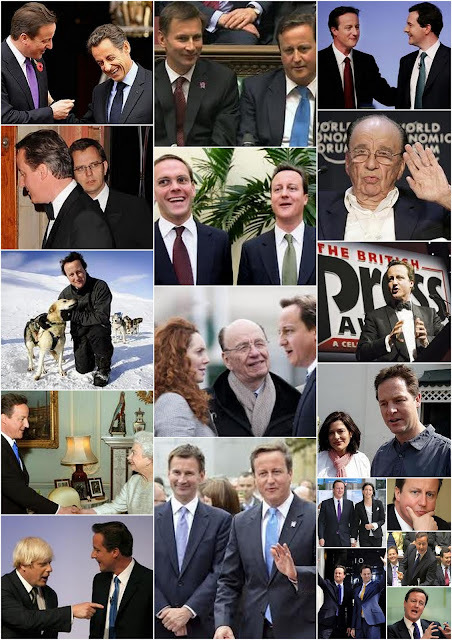 • Cameron and Brooks were good friends by 2008. • The inquiry ordered News International to release a fresh batch of texts between Brooks and Cameron. • Cameron confirmed there no independent verification of Andy Coulson's assurances over phone hacking, aside from what was in public domain. • Cameron said he would have sacked Coulson if given evidence of knowledge of phone hacking. • Cameron denied a "covert or overt" deal with Rupert Murdoch's media empire. • The inquiry is a "cathartic moment" for press and politicians, Cameron said. • A Sun journalist and a prison officer are among three people arrested by Scotland Yard in investigation into payments to police and public officials. @rosschawkins: Cameron: Clegg did raise the Coulson question. Andrew Tyrie also raised concerns about Coulson says Cameron. @benfenton: #Cameron can't recall any conversations with Rupert Murdoch about taking Coulson into Number 10.#leveson has moved on to the issue of vetting Coulson.It was an issue for the civil service not for the PM.I am convinced it is red herring. @rosschawkins: Cameron: Coulson's security vetting is complete red herring, civil service decision, perfectly normal. @IndexLeveson: Cameron: Issue about who is vetted and to what level is issue for civil service, not PM. Cameron says issue of Coulson's lower-level vetting is a "complete red herring"
@Joshhalliday: Cameron says he doesn't recall asking Coulson for fresh assurances after New York Times story on phone hacking on 1 Sept 2010. @rosschawkins: Cameron: Coulson was finding job impossible to do because of all these stories & the rest of it. @benfenton: Cameron says hacking was failure of those involved.The newspaper, the police, select cttees and like to get to bottom of it. It took a more cataclysmic event -Milly Dowler-before it was opened up to degree it should have done. Jay:Is it example of over-closeness? #Cameron Well, Parlt did hold an investigation, but for whatever reason, Parlt,PCC etc didn't get to bottom of it.They shd ask selves why. Jay:were you in favour or not? #Cameron in free market economy you shd allow mergers,acqns unless public interest reasons why not. Jay:Were you broadly onside? #Cameron:I wdn't put it like that. [Repeats earlier reasoning] Politically, we had a hot potato. J:Did you agree there was no plurality issue bcause already owned 39 pct?C:At Carlton we assumed it was owned by News Corp.
@TomJHarper: Cameron reveals witness statment from Govt lawyer Paul Jenkins that says Hunt note is irrelevant + wd not hv changed legal advice. @rosschawkins: Cameron compares Murdoch to Manchester Utd - everyone has a view he says. Cameron: there may be a case for taking politicians out of these decisions altogether. Everyone has a view about Marmite as well... Jay asks if Cameron had any convs with J Murdoch about bid not just any inappropriate conversations, doesn't get answer as such. @benfenton: Cameron had no inappropriate conversations about bid with JM or RB in NOv/Dec 2010. Can't remember all conversations, though. But did have conversation with JM [at RB's house] on DEc 23. I wanted to make clear that Cable remarks shdnt have happened, was wrong and... "...would now be dealt with entirely properly, and I thought that was quite an important point to make." David Cameron explaining events after hearing about Vince Cable's Telegraph 'sting'..
Cameron remembers where he was in Downing St when told about the Cable remarks. "These were important and significant remarks." [We are going through the decision on Cable. ]Broad question of damage to govt on dealing fairly with business.Jeremy Heywood had idea.....to move the Sky bid too Hunt's department[DCMS].Seemed to me a relatively neat&straightforward solution. @rosschawkins: Cameron: in 24 hour news environment can't spend hours or half days deciding what to do. @TomJHarper: Cameron: "The Business Secretary said something that couldn't stand. Major problem for the Govt. Couldn't dither, repuation at risk." @IndexLeveson: Cameron: in 24h news cycle you can't spend hours of half days working out what you’re going to do next. Cameron: you need to come up relatively rapidly - not overly hastily - but relatively rapidly with a good answer. @iankatz1000: PM says meeting about moving bid to Hunt tk 2 hours. But Osborne txted Hunt 58mins aftr start of meetings sying "hope you like our solution"
@TomJHarper: Cameron asked to consider email from legal head at DCMS to Ed Llewellyn - Hunt's comments "not helpful" and "tend to pre-judge issue"
@rosschawkins: Cameron suggests legal advice taken on Hunt getting BSkyB responsibility between 1655 and 1745. Jay takes him forward now to July 11 when he wanted to derail the bid to avoid a Commons vote. "I wdnt put it quite like that,"
Jay asks if Cameron was keen to derail the BSkyB bid in July 2011, as he feared losing a Commons vote on the issue following mounting pressure over phone hacking. Cameron says he would not quite put it like that. "There was a broader issue about the views of the House of the Commons, the views of the country and the need to reflect those," he adds. The inquiry turns to lessons for politicians from the phone-hacking scandal. Jay asks Cameron if he agrees that the events have been "liberating" for politicians because Murdoch now has less power. "I think I'd put it in a slightly different way," says Cameron. He adds: "The debate of how we need to regulate the press, including News International and all those titles, is a debate that is now properly being had." Cameron is back on to safe ground as he is asked to outline his thoughts on transparency. Cameron says the current press self-regulatory structure "hasn't really delivered" and that the quasi-judicial procedures need to be improved, along with the role of special advisers. Cameron says he believes there should be training for ministers and special advisers given quasi-judicial authority for business decisions. Special advisers are now told that they work for the government, not a minister, Cameron says. Cameron: set of procedural changes on SpAds and quasi-judicial procedures where we can make improvements. Cameron on SpAds: needs to be adequate training so people are properly prepared for what these decisions do/don't involve. Cameron: steps forward by making sure SpAds are clear under code they work for whole govt and not just a minister. #Leveson: conscious that it might be thought by some be a bit rich for you to have asked me to make recs & then for me to ask you for answer. Cameron: No annual appraisal when i was a SpAd, have introduced these now. Cameron: I'd hate it if out of all of this we killed off the idea of good SpAds helping their minister. Cameron: the BBC can be quite an aggressive lobbyist on issues like the licence fee or charter renewal. Cameron:if clear that media business coming to talk to you about media business issues, then appropriate a private sec takes a note. Now looking at advice from Gus O'Donnell on guidleines for social and political meetings. Jay raises guidance from Lord O'Donnell on social and political meetings. O'Donnell advised that purely social interactions with friends need not be recorded, but where there "could be overlap with an official role" the meeting should be recorded. Cameron says we need to get proper respect between pols and hacks as well as trying to create proper distance. It's how you behave. A bit more distance.A bit more formality.Abit more respect on both sides and politicians are going to have to do their bit to earn it. "Self-regulatory system is not working, but what we put in place depends on how newspapers respond to this challenge." Cites Lord Hunt moves. #Cameron:Not for me to tell press how to respond.Jay:Press happy to tell politicians how to comport themselves,but you won't return favour? #Cameron: I have told MPs repeatedly this must not be revenge for the expenses scandal.That was a scandal. Cameron: will never forget pain of Dowlers, have to protect people thrown to wolves by press. Q has self regulation failed? Cameron: not necessarily, has to be independent & involve all paper. But must have confidence of public and must have teeth.#Cameron says he knows about statutory regulation from his TV time.Papers different. Must be genuinely independent.What matters is the outcome rather than the title.Hunt has good ideas.Must be tested. #Cameron apologises to #leveson again for "giving you this hot potato". #Leveson says: "I don't think you sound sorry about that at all." Cameron says it is important that the new system of press regulation is independent, involve each of the newspapers and is compulsory, can impose real penalties, have investigatory powers and have the confidence of the public. "If it can do those things then that's the test," he says. Cameron says he empathises with the concern over "full-on statutory regulation" of the press. He believes Press Complaints Commission chairman Lord Hunt has good ideas on the future of the body, but they need to be "rigorously tested". Cameron says it would be "much better" if the new press regulator could be operated without statute. But he says the challenge is how to involve all of the industry. #leveson says he is encouraged by Major saying this needs consensus and a principled response. #Cameron I agree with every word of that. #Cameron points out that he put #leveson terms of reference out for political consensus. "We must do better" than Calcutt in 1994. #Cameron key point:Self regulation only works if demonstrably independent.Far better to do that without statutory imposition. Paraphrase: How can we ensure swift redress in cases of press abuse? #Cameron makes a joke that ordinary people can leave child in a pub without attention focused on them. Letts' List , Let's Not!. 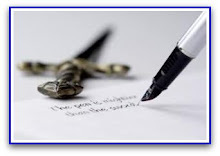 The pen is mightier than the sword..
Brown Moses Blog - Detailed information.